A new year also always means kind of a new start for me, that´s why it is super important to me to plan and organize all my important dates, holidays and errands for that year. Especially as someone who works from home, for students (no matter if you go to school or university), but also for everyone who wants to find time for their hobbies it´s essential to plan and organize. 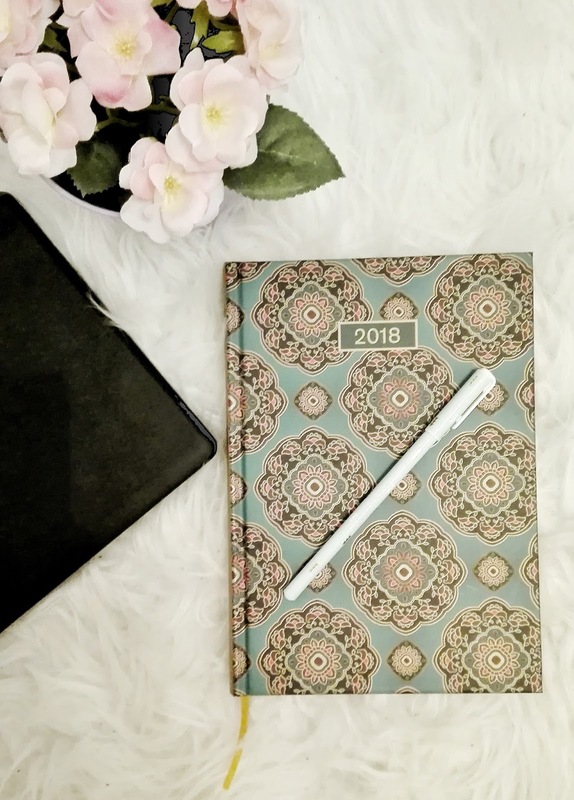 There are many options to organize all of your stuff and to plan your activities, but today I want to tell you more about my daily essentials that help me to be organized throughout 2018. First of all to work effectively I need a clean desk with enough space for the books and stuff that I need to work on my projects or to plan my time. I just don´t like it if I don´t have enough space, because then I can´t really concentrate on my work and everything lasts a bit longer than necessary. 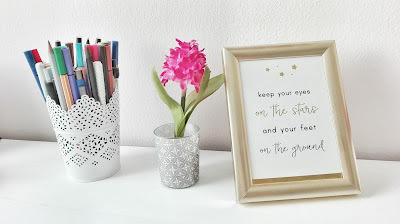 Something that I nonetheless wouldn´t want to miss on my desk is some inspiring or pretty decoration. On my desk you can always find a pretty pen holder, a flower and an inspiring quote. These things make my desk just more pretty and I am more motivated with nice surroundings. Something that I couldn´t live without are my planners/calenders. I have two planners every year- one table calender which is always standing on my desk, where I write down shortly my most important dates, so that I have everything important obvious to me. The other one is a pocket planner, where I have a lot of space to write down more detailed information about my dates, but also what I have to do on which day. Some people prefer to use their phone calender, but for me a normal book calender works a little bit better. Mostly I use to-do-lists or my planner when I want to write down the things that I have to do in a day. 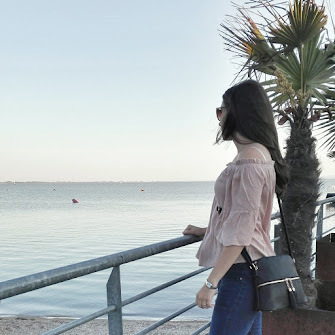 I have a to-do-list for nearly every day (except holidays and weekends), because I don´t want to miss to do something important that needs to be done, but also things that I would like to do. I think it´s great to have a pretty to-do-list, where all errands can be written down structured, so that you have a good overview. Another thing that I always use are different folder to keep all my important documents together arranged in categories. So these are my essentials to have an organized new year. I hope that some of you can use some of my advices and that nobody will have struggles with planning or organizing in 2018. How do you keep all your dates and errands organized? Do you also use planners and to-do-lists? How does your desk look like, so that you can work effectively?